This site is provided completely free of charge so please help keep it running through a small donation. This web site exists to assist owners and potential owners in looking after their Ford Scorpio. It caters purely for the 1995 and later Ford Scorpio in all it's variants but not the earlier Ford Granada Scorpio. Throughout mainland Europe Ford referred to the vehicle that we in the UK know as the Ford Granada as the Scorpio just to confuse everyone - if you require information about that particular car then we recommend the Granada & Scorpio Online site. If you need genuine, new Ford Scorpio parts by Mail Order, try FordPartsUK by clicking here. We always need funds to keep this web site running so please consider helping us with a small donation if you find the site helpful. Thanks! Read our Newbie Guide page for a quick startup! Don't part with any money until you have read this Buyer's Guide. Ford introduced the 'new' Scorpio on 1st October 1994 and it's perhaps an understatement that it didn't go down too well. The Press had a field day with its unusual front end styling and in the Saloon version at least, its bustle rear end. However Ford had always been leading the way in styling back to the launch of the Ford Sierra that came in for similar criticism, but went on to become a classic design and accepted by almost everyone. Things actually came full circle as Quentin Willson from the BBC's Top Gear suggested that the Scorpio was his most recommended second hand Executive car purchase - and who are we to argue? Today the Scorpio makes an ideal choice as a second-hand vehicle - fully loaded and engineered to last they are available at half the cost of a comparable BMW or Mercedes - and a lot more exciting. Targeted directly at the Executive market (£20k-£30k) Ford wanted to take on the fleet of BMW, Audi and Mercedes vehicles parked in the Management parking spaces of European companies. In this respect they failed miserably but that is our gain because what they created was one of the all time great Ford cars that everyone loved to hate. Find someone who actually sat in one or drove one and you will find a convert. Remember that even if you don't like the way they look - you can't see it from the driving seat! Whether you want the slower but more economical 2.0 or the great all-rounder 2.3 there is a model to suit you and your pocket. If you really want to experience the car then we cannot recommend the 2.9 24V highly enough - powered by Cosworth, driven by You. 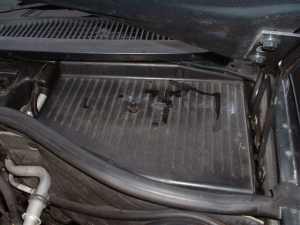 Make sure the battery shelf drain holes are clear, one on each side in the bulkhead through into the engine bay - especially if you park beneath trees. Does your Scorpio have it's battery cover? How many cars can keep this up for 200 miles? Most of the thanks for this web site have to go to Eric R and Pete C who have contributed a wealth of support and information, including allowing the original site to be torn apart and grafted on to this one. We will be eternally grateful for their support as they continue to contribute to the site, the forums and the mailing list at Scorpio Confidential. Note: Many illustrations and diagrams used on this web site are the copyright of Ford Motor Company and are reproduced here with their kind permission. Please respect their copyright and do not reproduce without their express permission.